Here’s the wine rack installed. I used Daly’s Profin again for the finish, sanding in the first coat with 400 grit paper and then adding in two additional coats. Wine bottles sit in cut out that I used a rasp to shape. 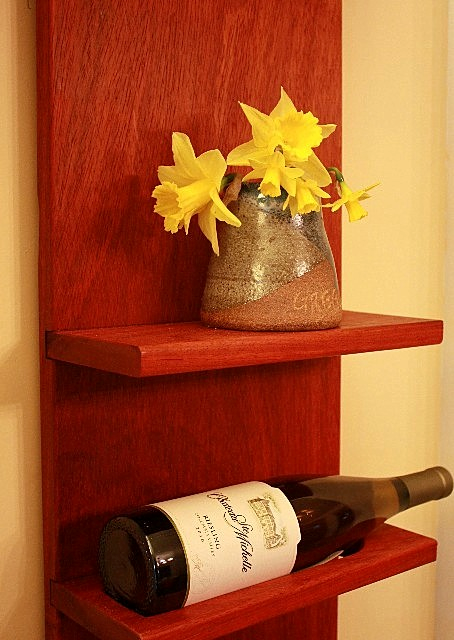 Shelves are mounted in dados with glue and screws. Wood is Paduk. This is a project that I’ll remember for a looong time. There is orange saw dust everywhere .. and I mean everywhere. I’ll be finding it for a long time. That's very classy! Nice job, Marilyn. 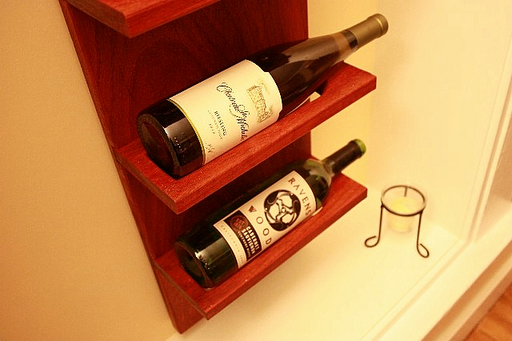 I've never seen a wine rack like it, it looks great!I know what you mean about orange sawdust. 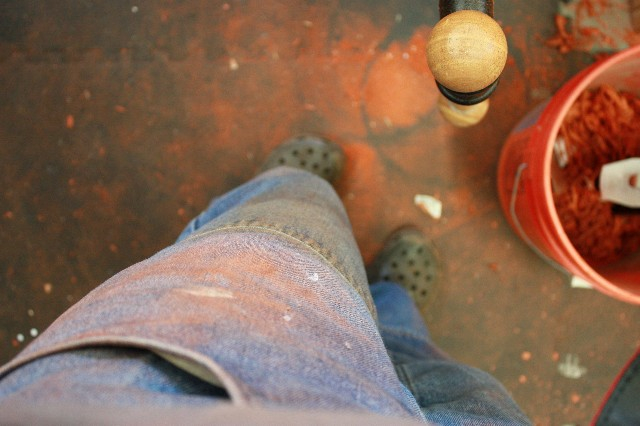 I was working with some blood wood a while ago and I had red sawdust covering everything. Nice work! Really works well in that space. I thought about having it sit below the shelf as well. That would look pretty cool. We have a wine cabinet in the house and the slats are 2 1/4" apart. I decided to go with that width because I discovered that wine bottles vary in size slightly and I wanted the bottle to sit similar to one another. Can't wait to see what you come up with. LOL! I bet you're right! !